Join Millions of Us on May 3 to Pray Up a Storm Across America! Home » Blogs » Join Millions of Us on May 3 to Pray Up a Storm Across America! News flash! In the thick of all the political upheaval among our nation’s leaders these days, a united prayer rally has been scheduled inside the Capitol Rotunda for the evening of Thursday, May 3. Not to pray over political debates. Rather, prayer will be lifted up for a vital, national awakening to the glory of Christ, “the Ruler of the kings of the earth” (Revelation 1). That is the only lasting hope for Congress or the White House—as well as for the rest of us in America. Christian leaders will gather among the likenesses of over one hundred great Americans in the Rotunda’s Statuary Hall. However, our prayers will be for a whole other kind of leadership—the leadership of God’s Son! Our united plea will be for the Lord Jesus to begin a new work of renewal and revival inside his Church that ultimately heals the whole nation. 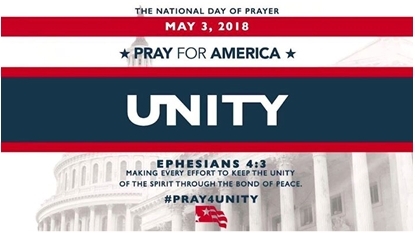 The main theme of the National Day of Prayer this year is UNITY. We’re appealing to Heaven (1) for the Spirit to reunite God’s people more forcefully around the supremacy of God’s Son so that (2) Christians might help restore true unity in our national life from coast to coast. I have given them the glory that you gave me, that they may be one as we are one—I in them and you in me—so that they may be brought to complete unity. Then the world will know that you sent me and have loved them even as you have loved me. (1) This post introduces you to the official “Prayer for America” for 2018, which will be prayed by millions, along with all of us in our nation’s capital on the evening of May 3. Make it your prayer too! (2) This post shows you why, biblically speaking, this official prayer is so totally relevant to this moment of our history—why we can and must pray it boldly. (3) Finally, this post points you toward other resources that will help you and others near you to join with millions of Christians in the exceptional experience of concerted prayer for Christ’s kingdom to break through in our land. First, let me give you the actual content of 2018’s official prayer, written to be used on May 3 by millions of believers from sea to shining sea. As you study it, try to imagine what it actually would look like in our nation if this very prayer would be answered, literally, for Jesus’ sake. Our Dear Heavenly Father, while we come to You in complete humility, we also come to You with boldness in the authoritative name of Your One and Only Son, Jesus Christ, who is the Lamb of God who takes away the sin of the world. In Jesus’ name, fill us now with Your Holy Spirit and lead us as we pray in Jesus’ name for America. Oh God, we are burdened for our nation today. We turn away from the sins that we have committed against your Word and your Name. We turn away from our contentious words and ways toward one other that have led us to division and polarization. We turn away from our disrespect and lack of dignity toward each other, and we turn away from our continual devaluation of all human life from the womb until death in this world. We also turn away from and refuse to participate in skepticism, criticism, and cynicism in our nation. We turn away from anything that divides us, and we run toward the gospel of Jesus Christ that is the only thing that has the power to unite us together. Lord, in this critical hour in our nation, we pray for unity in America. Only You can bring unity, harmony, and oneness in America. As your Word calls us in Ephesians 4:3, “Making every effort to keep the unity of the Spirit through the bond of peace,” we ask You to empower us to make every effort to live in unity, to call for unity, and to forward unity in America continually. 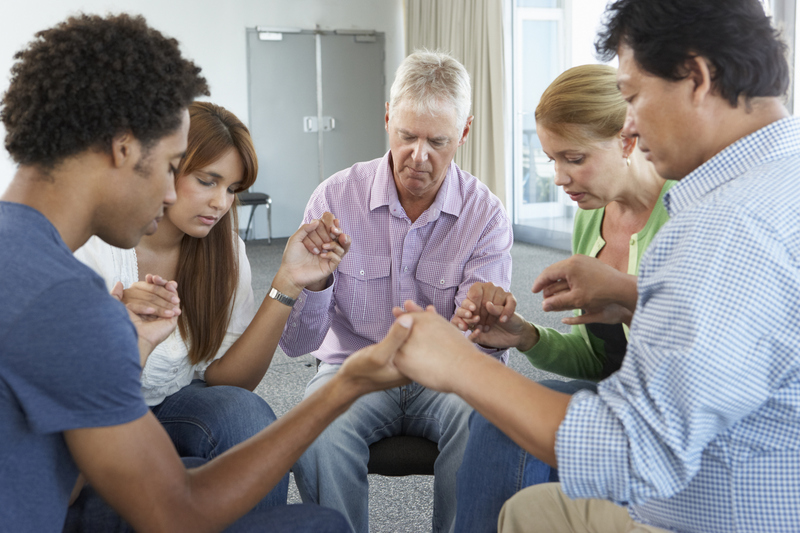 We pray for the churches in America to unify in Jesus Christ and to pray as one unified spiritual family for America. May Your Church pray for America passionately, perpetually, privately, and publicly. We agree clearly, unite visibly, and pray extraordinarily for the next Great Spiritual Awakening in America. Oh Lord, wake up Your church spiritually and convict Your people to agree clearly, unite visibly, and pray extraordinarily until the next Great Spiritual Awakening occurs in our generation. Through Jesus’ name and by the Holy Spirit’s power, we pray for all Americans to unify and to live together in unity. (1) It exalts the Lord Jesus Christ as supreme over our nation and its destiny. To be candid, one of my concerns with some previous National Day of Prayer official prayers is that the focus and pursuits have been in directions that, one might say, were sub-biblical. That is, the content often felt more “Unitarian” than “Trinitarian” because of how weak the emphasis on the preeminence of Christ appeared to be. Too often, if you listen carefully, you’ll find that when a lot of Christians pray, they tend to leave Jesus almost entirely out of the prayer, except to use his name as the imprimatur tagged at the end, to sort of “seal” what has been prayed. When we start putting God’s Son in his rightful place in the way we seek the Father for divine interventions in our nation and in our own lives, that’s when the Spirit of God unleashes glorious answers to our prayers “above and beyond all that we can ask or think” (Ephesians 3). For sure, this year’s official prayer for more of the glory of Christ to be revealed in the Church—and through the Church to be experienced across our nation—highlights the one and only way forward into true unity. (2) It makes the pursuit of more of Christ’s kingdom our priority, not a Republican or Democratic or Independent agenda. As I travel the nation, sometimes it seems to me, especially over the past few years, that many prayers I hear Christians vocalizing sound as if we’re “lobbying the Throne” for our partisan passions. We are tempted to “politicize” our requests, as we deal far more with some of the heated debates in Congress than we do with the more critical issue of the moral and spiritual freefall in which our entire culture finds itself. 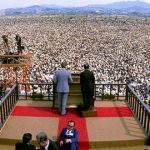 At other times, our prayers for “revival” appear to be shaped more by a desire for the restoration of a simpler, 1950’s-style, middle class, monocultural lifestyle instead of crying out concertedly for a radical, biblically grounded, Kingdom-manifesting, Christ-saturating reclamation of the Body of Christ, so that we can become God’s healing force for the whole nation, from top to bottom. But this year is different. Here’s a prayer every stream of the Church can lift with one voice—a prayer that directly addresses our need for Christ to become the unifying force among God’s people. For sure, this is the only hope for the rest of America to ever enter into a “more perfect union” and then together seek God’s best for our land. To which we should add: And for the whole church to start praying in that direction. (3) It provides a way for God’s people in America to raise their voices with one accord, which is so critical to the outcome of our praying. It fills me with joy to imagine this official prayer being lifted up by tens of thousands of churches and millions of Christians—all of us, together, on the very same day. After all, in passages like Matthew 18, the Bible teaches there is a unique level of effectiveness for a prayer by believers who ask together—who want it together, who watch for it together, and finally, who receive the answers together. We can pray for unity with great expectations whenever we pray for unity in unity. This beautifully worded intercession for our use on May 3 helps make this “one accord” possible from coast to coast in an unprecedented way. Furthermore, whenever Christians pray biblical, Christ-focused requests—praying God’s Word about God’s Kingdom to God’s Throne for the sake of God’s Son—part of what happens is that this passion turns around to plant itself more deeply in the hearts and lives of the pray-ers themselves! Such a deal! It’s a twofer! God uses your prayer in two ways: to change the world and also to change YOU!! 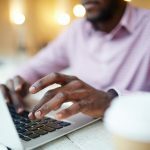 Go to National Day of Prayer.org to find loads of resources and many helpful ideas. Find or organize a gathering in your area! Get in on the conversation on Facebook. Learn there how you can create a prayer event right where you live. Be sure to download this year’s official prayer to hand out to your church or Christian friends before May 3. 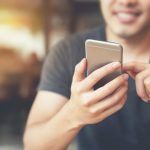 Share this blog post with your friends too. For additional inspiration, as well as to experience Christ-focused prayers for America, listen to ChristNow’s two-minute podcasts called HOPE FOR AMERICA, which you can find here. Then, join Christians in many locations across the nation, including on Capitol Hill, on May 3 as we pray for the kind of unity that will spring from the nationwide Christ Awakening movement that’s already on the horizon! Start an Exciting, New Adventure With Christ—via Twitter!